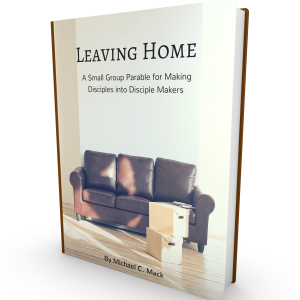 This discussion guide contains six lessons for groups that will introduce small group leadership in such a way as to develop each member into a leader of a new group. Each week’s lesson in this study contains detailed instructions for the group leader, a weekly devotional, helpful notes for each question, “between the meeting” options for follow-up activities, and a weekly scripture memory verse, based on the week’s topic. What makes this book powerful is the author’s unique way of explaining that healthy small groups are like healthy families. There are spiritual parents and spiritual children, and the goal is not to divorce and split up the family, but help the spiritual children mature to the point that they want to move out of the house and start a spiritual family of their own. Many small group members who complete the six sessions come to the conclusion that they have maintained a concept of group life that is completely unhealthy and must be discarded. Yes, this book is powerful stuff to move complacent members into ministry and mission!